August 30, 2018, San Francisco, CA – GLAAD, the world’s largest LGBTQ media advocacy organization, today announced that it would honor actor and activist Alyssa Milano with the inaugural Ariadne Getty Ally Award at the 2018 GLAAD Gala San Francisco on September 15th, 2018 at the Hyatt Regency San Francisco. 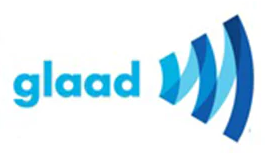 The GLAAD Gala San Francisco celebrates and features storytellers and tech innovators who accelerate LGBTQ acceptance and helps fund GLAAD’s digital advocacy work to grow LGBTQ inclusion in digital and social media. GLAAD also announced that veteran journalist Emil Wilbekin would receive the Ric Weiland Award for growing LGBTQ inclusion in tech. Leslie Jordan, Emmy Award winning star of best known from Will & Grace, The Help, American Horror Stories, Sordid Lives and the upcoming new FOX comedy series The Cool Kids, will host the annual event. Mj Rodriguez, star of FX’s Pose, will present and tech journalist and Axios.com Chief Technology Editor Ina Fried will introduce GLAAD President and CEO Sarah Kate Ellis during the event. For more information on the GLAAD Gala San Francisco, visit: www.glaad.org/events/2018/sfgala. GLAAD Gala San Francisco is presented by Gilead, Ketel One Family-Made Vodka, and Wells Fargo. The evening will also feature a special video message from Olympic medalist Adam Rippon about Ketel One Family-Made Vodka’s commitment to community, sustainably, and the importance of family, as well as its eight year partnership with GLAAD. Alyssa Milano, an actor, producer, designer, philanthropist, author, and humanitarian, will receive the inaugural Ariadne Getty Ally Award. The Ariadne Getty Ally Award is presented to a LGBTQ ally who uses their voice and public platform to accelerate and affect acceptance for the LGBTQ community. This award is presented to someone who fearlessly works to end the injustices facing marginalized communities. Milano has been an outspoken advocate for LGBTQ acceptance. She has raised awareness around ending HIV and AIDS, was a vocal supporter of marriage equality and regularly uses social media to amplify the voices of LGBTQ people. Milano also joined GLAAD for a rally in Times Square protesting a proposed ban on transgender Americans in the military and used her website, PatriotNotPartisan, to share the stories of Laila Ireland, a transgender veteran. She was an outspoken supporter of passing marriage equality, appeared as a judge on RuPaul’s Drag Race, and stood with LGBTQ youth and against bullying by participating in Spirit Day. Milano has also been a leading voice in the #MeToo movement. She is a UNICEF National Ambassador and testified before Congress on behalf of an Equal Rights Amendment that would write anti-discrimination into the U.S. Constitution. Most recently, she released a video speaking out against the confirmation of Brett Kavanaugh to the Supreme Court, citing threats to LGBTQ and women’s rights. Milano currently stars in the Netflix series Insatiable and starred on the hit series Charmed for nine years. She hosts Project Runway All Stars and also has her own women’s sports licensed clothing line, TOUCH by Alyssa Milano. The award is named after philanthropist Ariadne Getty, a native of San Francisco. Ariadne Getty is a member of GLAAD’s Board of Directors and announced a $15 million lead gift to support GLAAD’s work to accelerate LGBTQ acceptance at the 2018 World Economic Forum Annual Meeting in Davos, Switzerland. Getty will attend the GLAAD Gala with her son designer August Getty and her daughter artist Nats Getty. Iconic LGBTQ journalist Emil Wilbekin will also receive the Ric Weiland Award at the event. The Ric Weiland Award honors innovators who advance LGBTQ equality and acceptance through tech and new media. Wilbekin has long worked to change the way that black gay men are perceived and received in the media. He brought LGBTQ stories to the forefront through his work as Editor-in-Chief of Vibe and Editor-At-Large of Essence. He has brought multiple LGBTQ stories to the digital space through his journalism at Essence.com, AOL Black Voices, and OUT.com. He has also served as a Board Member of the Black AIDS Institute, HIV and AIDS advocacy organization LIFEbeat, and the Stonewall Community Center. He also serves as Chief Content Officer for AFROPUNK, an annual arts festival in NYC. Most recently, Wilbekin launched Native Son, a movement for black gay and bisexual men to inspire and empower each other. Native Son, named after Notes Of A Native Son, a book of criticism and essays, by James Baldwin. Native Son works to increase representation of LGBTQ men of color. Since its founding just last year, Wilbekin launched a series of Native Son Conversations saluting the achievements of Black gay and bisexual men in media, technology and activism. Google hosted the New York conversation which focused on the intersection of Black gay men and technology. The award is named after the late Ric Weiland, a computer software pioneer and philanthropist known for moving the LGBTQ movement into the digital age. Previous Ric Weiland Award honorees include former US Chief Technology Officer Megan Smith, Google/YouTube, Y Combinator founder Sam Altman, and Salesforce CEO Marc Benioff. Legendary actor and playwright Leslie Jordan, one of the most recognizable faces in popular entertainment, will host the GLAAD Gala San Francisco. For his work as Beverely Leslie on Will & Grace, Jordan won the 2006 Emmy Award for Outstanding Guest Actor in a Comedy Series. He also has received critical acclaim for his original stage plays, My Trip down the Pink Carpet, Stories I Can’t Tell Mama and Fruit Fly. He can next be seen starring in The Cool Kids, premiering on September 28 on FOX. GLAAD previously announced the RuPaul’s Drag Race judge Ross Mathews will be presented with the Davidson/Valentini Award by fellow judge Michelle Visage at the event and that transgender pop sensation Kim Petras will perform. To receive the latest updates on GLAAD Gala San Francisco, follow @glaad on Twitter.